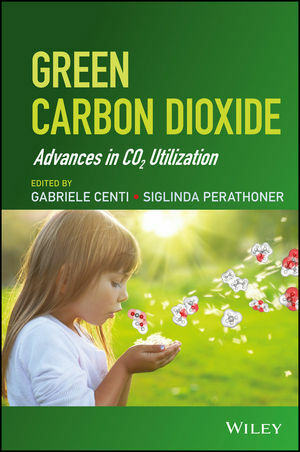 With this book as their guide, readers will learn a variety of new approaches and methods to recycle and reuse carbon dioxide (CO2) in order to produce green fuels and chemicals and, at the same time, minimize CO2 emissions. The authors demonstrate how to convert CO2 into a broad range of essential products by using alternative green energy sources, such as solar, wind, and hydro-power as well as sustainable energy sources. Readers will discover that CO2 can be a driving force for the sustainable future of both the chemical industry and the energy and fuels industry. More than 1,000 references enable readers to explore individual topics in greater depth. Green Carbon Dioxide offers engineers, chemists, and managers in the chemical and energy and fuel industries a remarkable new perspective, demonstrating how CO2 can play a significant role in the development of a sustainable Earth. GABRIELE CENTI is Full Professor of Industrial Chemistry at the University of Messina and President of the European Research Institute of Catalysis. He is a former President of the European Federation of Catalysis Societies and current Vice President of the International Association of Catalysis Societies. Dr. Centi is Chair of the Editorial Board of ChemSusChem and Chief Editor of the book series Studies in Catalysis and Surface Science and Green Energy. SIGLINDA PERATHONER is Associate Professor of Industrial Chemistry at the University of Messina. Her research examines nanostructured zeolites, catalytic membranes, catalysts for waste water purification and remediation, photo(electro)catalytic conversion of CO2, and fuel cells. Dr. Perathoner is the author of more than 160 publications.